Dr. Jason and Colleen Olitsky met at Temple University School of Dentistry. 2001 graduates, they both came to Ponte Vedra Beach, Florida to practice dentistry. Dental school gives you a solid foundation of dentistry and Temple Dental school has a fantastic clinical program. Dental school does not offer much education in cosmetic dentistry. “I remember the first opportunity I had to do a set of porcelain veneers on a patient in dental school. The woman who had wanted a smile makeover for a long time was given a credit card by her grown children to get the treatment at our school. My clinical faculty at the time gave me a reason as to why I would not be able to perform the treatment related to her future care.” There is enough to teach students about dentistry without including the advanced concepts of occlusion (bite), ceramics materials, bonding interfaces, patient selection process, preparation design and cementation systems and procedures to name a few. Dental schools are mainly focused on preparing dental students to pass state boards and porcelain veneers or smile makeovers are not a subject on the exams. Most clinical faculty at dental schools have performed only a few veneer cases themselves and may not even be accredited cosmetic dentists. They themselves may feel too inexperienced to teach predictable procedures for esthetic treatments to students. Dental schools are mainly focused on preparing dental students to pass the state boards and porcelain veneers or smile makeovers are not a subject on the exams. Drs. Olitsky began role modeling successful cosmetic dentists with techniques that provided both healthy and natural results. Traveling all over the country, they took courses from cosmetic dentists who were masters of their time and took pieces of information to complete their quest for answers. They didn’t just study under one group or philosophy, we expanded our knowledge by getting as much information as we could from several different sources. “Once the procedures are mastered for predictable results, the aesthetics become the driving force to push the limits of what can be done on a consistent basis.” They began studying more european techniques in design, by reading books and attending lectures by their authors, as well as traveling to Italy to study under Italian masters in aesthetics and design. 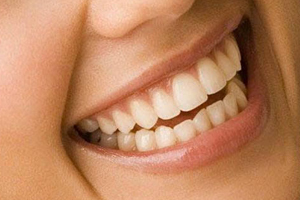 It is easy to get complacent with results and techniques when you start making patients happy, but a dentist needs to have enough passion to continue to develop natural esthetics, even after they can make patients happy, because the dentists eye will continue to improve with each case and therefore should always be searching for more ways to improve results. Natural aesthetics is team work involving not just a dentist, but also a laboratory technician. A dentist is the architect and designer for the smile, the laboratory technician is the builder of the porcelain crowns and veneers. New dentists, or dentists with less experience in cosmetic dentistry, do not attract the best laboratory technicians. “I remember when we first started performing esthetic treatments and would search for the best laboratory to handle our cases. We would look for the best marketing and examples of work, then send cases to the lab expecting amazing results, only to be disappointed with the aesthetics.” The reality is that laboratories often times have a dozen or more technicians who make porcelain veneers and crowns and their top technician is reserved for the most experienced dentists or the ones who send the laboratory the most cases. Smaller local laboratories may not even have a talented technician on staff, because these men and women are artists and in high demand, they get paid very well for their work by larger laboratories or open their own boutique labs and work with only a few select doctors. Dr. Jason and Colleen built relationships with several of the worlds top technicians by rising to the top of the cosmetic field, sending thousands of cases, always sending impeccable records and revolutionizing and teaching the photography and video aspects of smile designing and laboratory communication. Smile Stylist was born in Ponte Vedra Beach, renamed from Olitsky Smiles of Ponte Vedra, it stated to the consumer that this place of business was dedicated to cosmetic dentistry without the need to explain it. A vision was crafted that would create future change in the industry. A smile lifestyle brand that promotes, provides and maintains beautiful, natural looking, and healthy smiles while elevating the standards of cosmetic dentistry for the consumer and simultaneously becoming the most recognized smile brand in the world. Dr. Jason began lecturing all over the country on techniques to perform more predictable and natural esthetic dentistry results and publishing in dental journals cosmetic cases and procedures to get most natural results. He worked with his laboratory to create better communication for more predictable results using high end photography and video, which would better give top technicians opportunities to “Get to know” patients who would often live hundred or thousands of miles away from the laboratory. “Our mission now is to help the cream of the crop rise to the top, by searching out talented dentists with similar personality and passion and giving them educational opportunities to grow into Smile Stylists, introduce them to technicians who are highly skilled in creating natural results and connect them with consumers who are looking for qualified cosmetic dentists.” Its a win-win-win for technicians, dentists and the consumer.